Payroll Solutions. 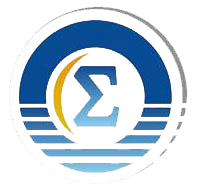 Sigma - your business, completed. For over 50 years, Sigma have been providing payroll software & bureau support to organisations all over the world, small and large. Over that period there have been a myriad of legislative changes including the latest: the introduction of GDPR. •	What measures have you got in place to safeguard employee’s data? •	Is there a faster way to generate a pay run? •	What if my payroll administrator goes off sick? •	Spreadsheets, overtime amendments, recording sickness days, bacs payments, there has got to be an easier way? Sigma provide the best possible solution and ongoing support for all our clients. Human interaction has been greatly reduced and why should your payroll be any different? Profile Enterprise caters for an endless amount of trail blazing processes and payroll functions. The inclusion of inventive imports and automation greatly reduces human error as well as creating savings on time. Encrypted E-slips provide a safer and cheaper alternative to printing, folding and handing over paper copies. Integrating a Payroll and HR suite ensures smooth efficient data flow and accurate payroll processing whilst giving your employees easy functionality to request, record and review their Absences. If you want something done right you don’t always have to do it yourself. We wouldn’t want to decorate our nice new offices! We’re exciting about furnishing them though. Providing the best possible product, support and solution for all our clients can also mean taking care of a service completely. Our team of expert payroll administrators have over 80 years’ experience in processing payrolls for all types of clients so you won’t need to worry come pay day. Bacs approved, regularly audited and sworn under Non-disclosure agreements, our team puts your confidentiality at the heart of what we do. Sigma have put together a professional team with specialist knowledge to advise and support our clients along their journey toward GDPR compliance. Extra functions have been added by our team of programmers with specific focus on ensuring you have everything at your disposal to process employee data under the new GDPR.